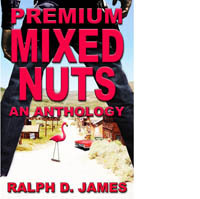 My bride, Clarice G. James, and I look forward to meeting friends, both old and new, as we celebrate the release of her third book, Manhattan Grace, and my first, Premium Mixed Nuts: An Anthology, this month. We hope you’ll join us. This week, Clarice and I will be appearing in Sandwich, Massachusetts! Friday, from 4:00 pm to 7:00 pm, we’ll be at the British Beer Company at 46 Route 6A. This place was the inspiration for a restaurant that figures prominently in Clarice’s 2017 release, Party of One. Saturday, June 23, from 3:00 pm to 5:00 pm, we’ll be at Beth’s Bakery & Café, 16 Jarves Street. Next week we’ll be in New Hampshire. This entry was posted in Book, Meet & Greet, Writing and tagged My Book, Writing. Bookmark the permalink.